Should all drugs be legalized? Should doctors aid terminally ill patients who no longer wish to live? Should companies breach users’ privacy if it could possibly help others? The ASU Ethics Bowl team members have proven themselves as one of the best college teams in the country at finding ethical solutions for real-world problems, earning the Arizona State University's first-ever bid to the National Ethics Bowl championship after taking first and second place at the Rocky Mountain Regional Ethics Bowl Competition this November. Ethics Bowl team members shy away from the yes/no, black/white responses and hardline stances more typically associated with debates. Here, you can agree with your opponent without undermining your argument. Instead, teams are judged on how well they understand and articulate the specifics behind a given case. Using cases taken from real-life situations — like the FBI’s attempt to compel Apple to hack into the iPhone of the terrorists responsible for the San Bernardino shootings — teams of five use various ethical frameworks to justify their solutions to these dilemmas. Each team gets a turn to make its point about a certain case, followed by the opposing team, and it concludes with a rebuttal from the first team. Afterwards, the judges select a new case and the opposing team gets a chance to make an opening argument and rebuttal. Judges award teams points for their arguments, and the team with the most points after two rounds wins. The ASU team has made impressive strides in short time. It was created in summer 2014 when Jason Robert, director of the Lincoln Center of Applied Ethics, asked Brian to head a prospective team. The team began competing the following semester. The team practices two times a week to prepare for upcoming competitions, with each team member using their strengths in different ethical theories to contribute. 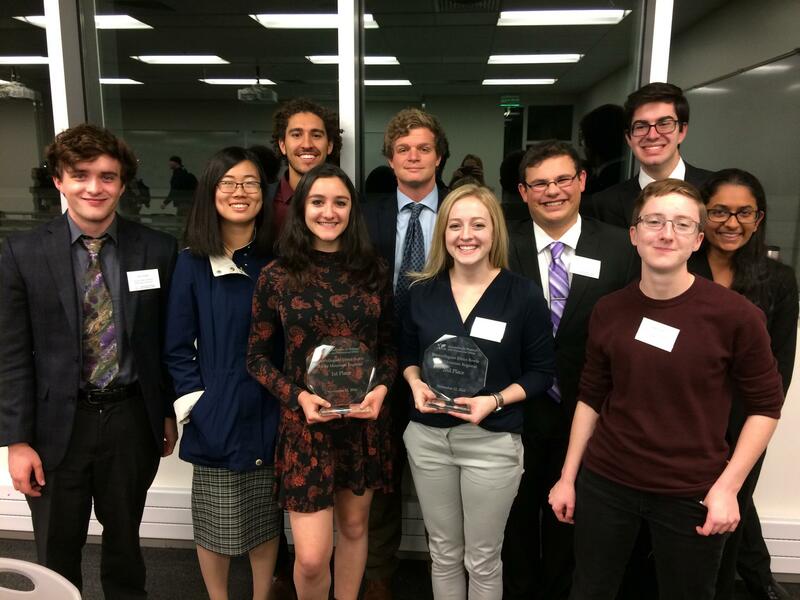 After two years of competing in Seattle, ASU sent two teams to the Rocky Mountain regional that swept the first- and second-place spots, guaranteeing the university’s first bid to the National Ethics Bowl competition taking place in Dallas in February 2017. The ASU team will receive the cases that will be selected for nationals in January. Thunderbird School of Global Management’s campus in Glendale is always filled with excitement, but no day rivals the excitement felt on Preview Day. This is when prospective students and their families visit the historic campus to spend a day experiencing the life of a T-bird. Preview Day attendees receive the red-carpet treatment at Thunderbird, with staff current students, faculty and alumni on hand to share what makes Thunderbird a unique, intimate and truly global educational experience. This year there were 21 countries represented among the attendees. As with all Thunderbird Preview Days, November’s event concluded with a memorable “Regional Night” focused on the Western Hemisphere and hosted by Thunderbird students from around the world. Thunderbird Regional Nights are a long-standing campus tradition showcasing the food, culture and traditional dress of a featured region of the world. November’s event was led by Thunderbird’s African Business Club, Middle Eastern, North African Club (MENA), and Latin American Club. The displays of different cultures were at their peak, as attendees enjoyed the diverse cuisines, music, dances and performances from these global locations. 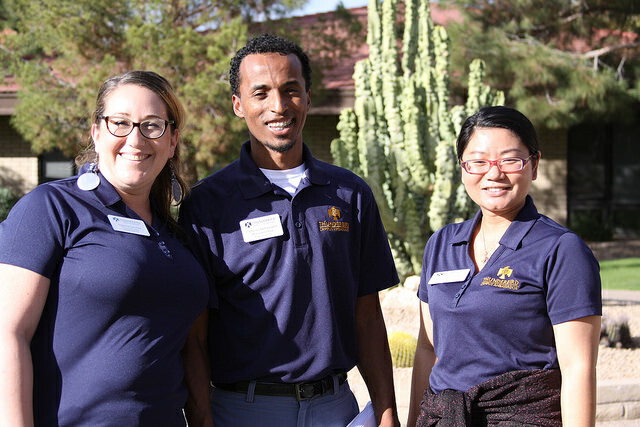 Visiting Thunderbird’s campus helps prospective students to get a true feel for the "Thunderbird Mystique" and discover what makes Thunderbird a unique social, cultural and educational environment that can launch a global career. The next Preview Day is March 25, 2017. Register today.